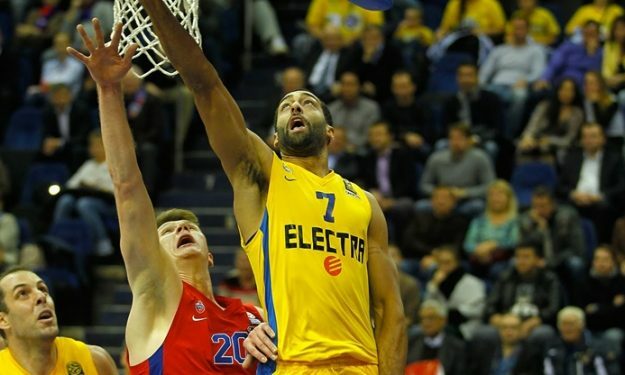 Hapoel Jerusalem officially announced the addition of American power forward Brian Randle. Hapoel Jerusalem officially announced the addition of American power forward Brian Randle. The 31-year-old player returns to the club after his two-season stint in 2010-2012. Randle last played for Maccabi Tel Aviv. During the previous season he averaged 8.5 points and 2.5 rebounds in EuroLeague, plus 6.3 points and 2.8 rebounds in EuroCup. A dynamic power forward, Randle comes to bolster an already powerful roster which also includes former NBA star Amare Stoudemire. It’s another signing that makes a statement of Hapoel Jerusalem’s big ambitions in EuroCup, apart from the Israeli Winner League. His addition most likely has to do with providing solutions to the problems that Hapoel faces on defense, particularly from its frontline.